Hey guys! Took a video yesterday of the base assembly in action. The auger does it’s job, however I’ve run into a snag when it comes to cat food jams – they are way too frequent. At first I thought maybe a simple redesign of the top of the auger tube, but it may be more complicated than that. I did a search online for auger designs, and designs that reduce jamming. For the most part, they are industrial designs that prevent jamming in the hopper rather than material jamming the up the auger itself. 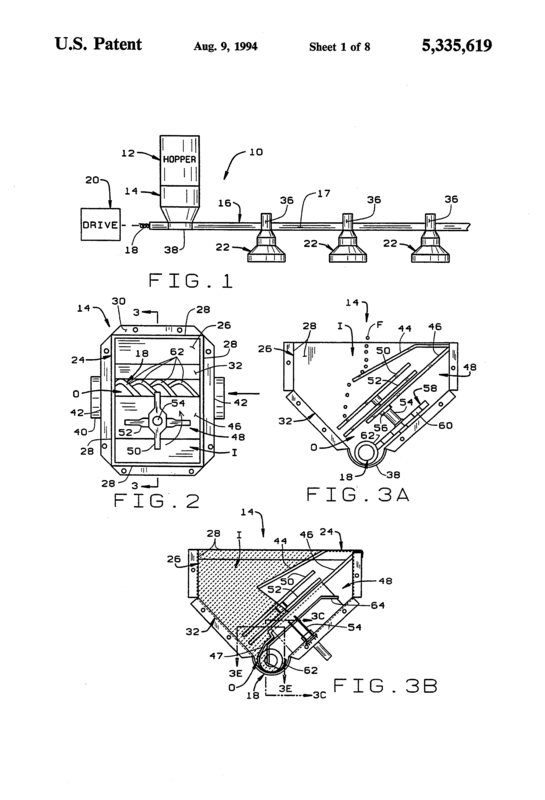 A few expired patents came up, which had some interesting images to learn from. Fun fact: patents make great bedtime stories. 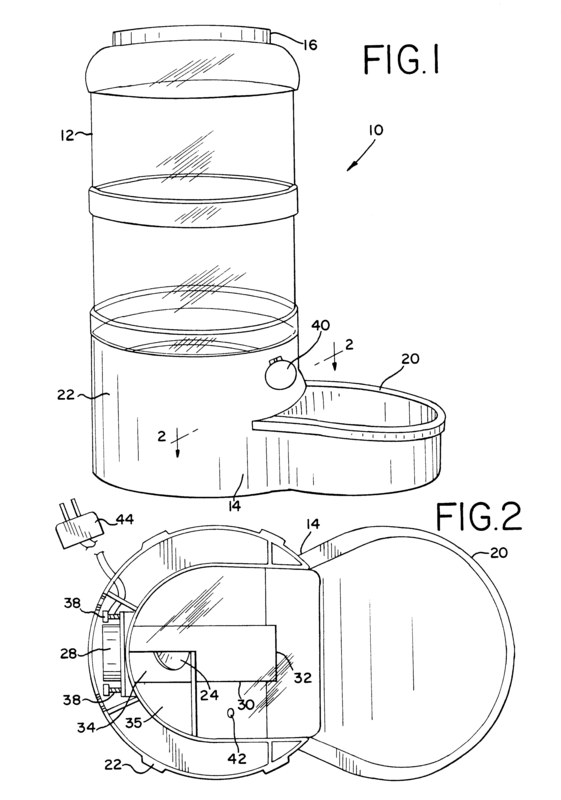 I also ran into this expired pet food dispenser patent! Maybe I was searching for the wrong subject matter! Notice there is no agitator for the hopper, and that the auger opening is partially covered. I tried some variations of covering the opening, which had mixed results, but still jammed. I also stumbled upon an auger driven cat feeder designed by Aaron Tunell. His feeder includes an internal agitator, and a very thin and sharp screw type auger. His runs without jamming, and rotates in reverse now and then I’m sure to prevent that from happening. I haven’t yet glanced at what the opening looks like, but I think I’ll play with a combination of closing down the auger entrance a little, while reversing now and then to prevent jams. Of course, this will mean more testing during off feed hours. Nori does not approve.